This exceptional performance polo with knit collar is lightweight, breathable, quick drying and stretches four ways for maximum comfort. Exceptional gram weight of fabric to prevent torgue. 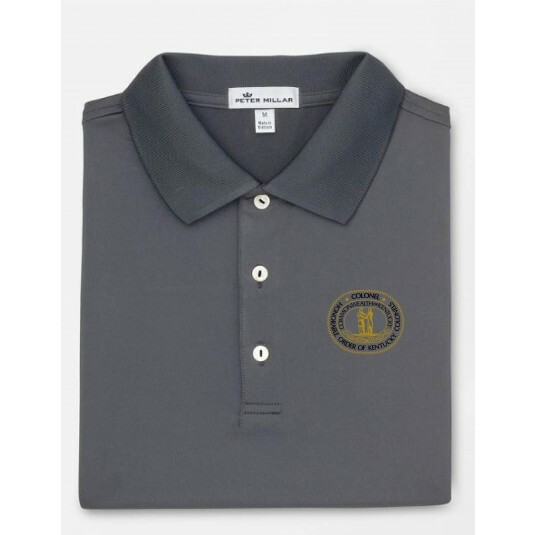 Stay cool in the moisture-wicking polo and enjoy the easy- care finish. With the Great Seal Logo for added Kentucky Colonel Pride.